Originally, the tour plans for 2012 were far more extensive than what is shown here – it was supposed to be a proper “tour”. Then two things happened. The full tour had to be scaled back to just three gigs due to Tony’s health, and then there’s the issue of Bill Ward feeling he was being shafted in terms of his contract. The Bill Ward drama during the first few months of 2012 has been covered elsewhere on this site, I’m not going to repeat it on this page. Black Sabbath had originally committed to a list of European Festival dates, which would have been in front of the planned release of the album (the eventual 13 album) in the fall of 2012. Those dates are still listed at the bottom of the page in a press release. Not too long after all this happened, it was announced that most of these gigs would be filled by a different band, one called “Ozzy & Friends”. More on that below. 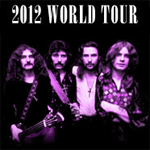 However, a handful of dates were kept on as “Black Sabbath” dates. 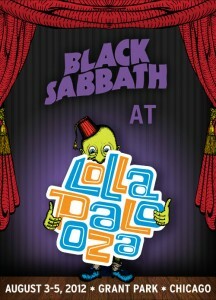 Originally, it was announced that the Download Festival date (June 10) would still be filled by Black Sabbath, and there would be one US date as well, but it wasn’t announced what that was until late April, when it was announced it would be in Chicago, IL at the Lollapolooza festival. 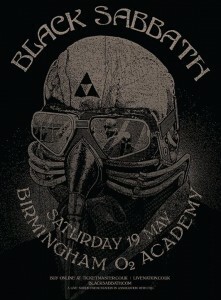 In the last few days of April, a “warmup” gig was added on May 19th in Birmingham. 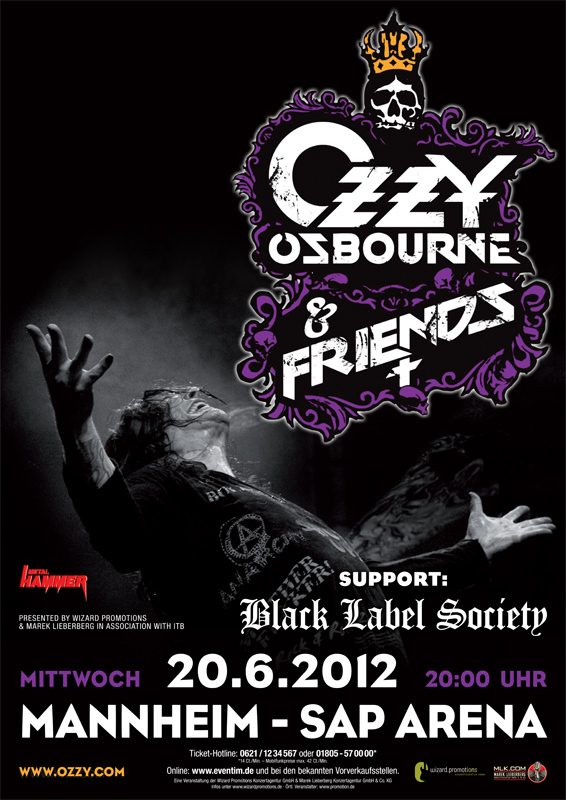 The originally announced European Festival dates were rebranded into a band called “Ozzy & Friends”. It’s basically Ozzy & Geezer with Zakk Wylde, and an as of yet unknown drummer to play the gigs so there would be a band there. My personal speculation is that Black Sabbath/Heaven & Hell would have shafted European concert promoters in 2010 when they had to cancel due to Ronnie Dio’s illness, and then in 2012 due to Tony Iommi’s illness. I suspect part of this is to placate them so there is still a gig that happens, and not to totally irritate the promoters. I believe the stated reason below is genuine, too. Whatever reason, the band playing these dates will not be Black Sabbath, and based on the feedback I’ve seen, that has irritated some people. For some reason these dates were announced, but aren’t happening. 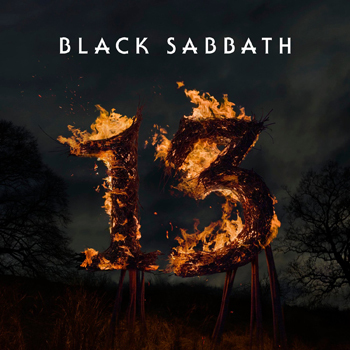 Not sure why..
BLACK SABBATH –who late last year confirmed the recording of their first new album in more than 33 years and a worldwide headlining tour–have had to put some plans on hold due to Tony Iommi’s battle with lymphoma. At this time, BLACK SABBATH will perform only one show of this summer’s previously scheduled European tour. It will take place Sunday, June 10 at the U.K.’s Download Festival. So as not to let the promoters and fans down, OZZY OSBOURNE will now perform all the previously scheduled BLACK SABBATH dates (both festival performances and the headlining shows) billed as OZZY OSBOURNE & FRIENDS. 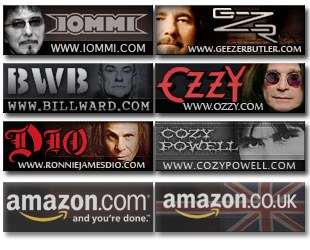 These “first ever” OZZY OSBOURNE & FRIENDS shows will feature appearances by “special guest” musicians including GEEZER BUTLER (who will join Ozzy for a special BLACK SABBATH set as a show of respect and support to their friend, Tony Iommi) and longtime former OZZY band member Zakk Wylde. In addition, OZZY will be accompanied by longtime collaborator and friend Slash at select shows, with other “special guests” set to join the tour at various stops along the way (full list of dates, appearances below).